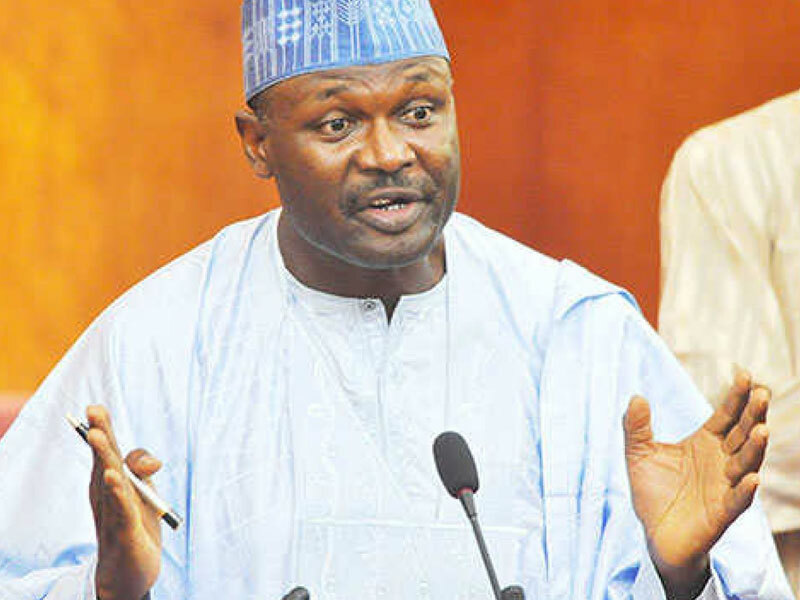 The Peoples Democratic Party (PDP) has demanded the immediate resignation of the Chairman of the Independent National Electoral Commission (INEC), Prof. Mahmood Yakubu, following his alleged role in alleged fraudulent manipulations it said characterised last Saturday’s governorship election in Osun State. It also called for the resignation of the INEC National Commissioner, Supervising Electoral Operations, Mrs. Amina Zakari, who is also in charge of Information Communication Technology (ICT) Department, where election results were allegedly altered to favour the APC. The party said both officials could no longer be trusted to be neutral in the conduct of elections in the country. “With INEC’s fraudulent conduct in the Osun governorship election, and approval that a concluded election be declared inconclusive, the PDP and indeed all well-meaning Nigerians no longer have confidence in Prof. Yakubu,” the party stated in a press statement by its spokesman, Mr. Kola Ologbondiyan. It said, “It is completely inexcusable that Prof. Yakubu presides over an atrocious and compromised electoral umpire that manipulates electoral processes, doctor figures, allocates fictitious votes and subverts the will of the people in an election. The PDP said it had facts on how INEC slashed over 1,000 votes freely cast by the people for its candidate, Senator Ademola Adeleke, in Ayedaade Local Government Area, just to reduce PDP’s votes from its legitimate 10,836 votes cast at the polling centers to 9,836 votes so as to give APC the lead with a 1,000 vote margin in the local government. The party added, “Also, the PDP has evidence of how INEC, while collating results, directly allocated over 1,367 fictitious votes to the APC in Olorunda Local Government Area, to fraudulently shore up the APC votes to duplicitous 16,254 votes. “This is in addition to evidence of how INEC awarded over 2,000 fictitious votes in favour of the APC in Osogbo to push APC’s vote to 23,379 against the actual 21,479 votes scored by the defeated party. The main opposition party said INEC robbed it of over 4,387 votes, saying PDP’s actual winning margin stands at 4,740 votes against the 353 votes declared by INEC. The party’s spokesman added that while the PDP, in rejecting INEC’s declaration, is resolute in the decision to seek legal redress and take its mandate, freely given to its candidate by the people of Osun State, the party has also discovered schemes perfected by INEC to rig its planned supplementary election in favour of the APC. 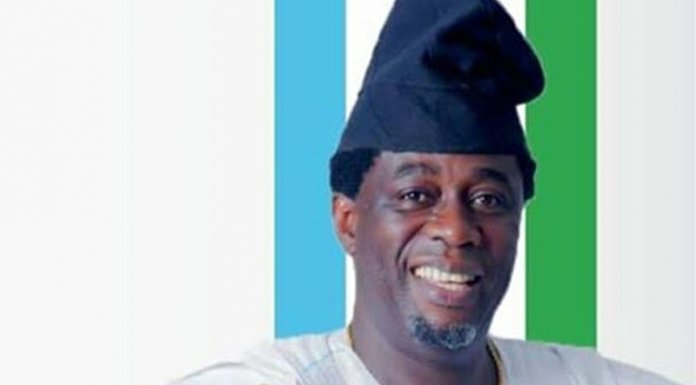 Ologbondiyan said the party’s fear is that such would push the nation into an irretrievable state of anarchy and spell doom to our democracy, adding that while Yakubu can no longer be trusted to conduct the 2019 general election, it is public knowledge that Zakari is a direct blood relation of Mr. President and as such, believed that she could not be an impartial arbiter in an election involving her uncle. The PDP, therefore, called on all patriotic Nigerians to join in the demand for the resignation of Yakubu and Zakari so as to avert, what it called the dangerous path, INEC was leading our nation. The National Peace Committee, headed by former Head of State, Gen. Abdulsalami Abubakar (rtd), yesterday held a meeting with the INEC, the security agencies and the representatives of the registered political parties ahead of the 2019 general election. Abdulsalami, while briefing the journalists after the first meeting with Yakubu and the security agencies, said the meeting was to ensure that the politicians did not heat up the polity ahead of the 2019 general election. Abdulsalami stressed that the politicians needed to play by the rules of the game, while the security agencies and INEC also needed to play their role accordingly. In furtherance of ensuring that the peace continue, the committee later met with the registered political parties, where they listened to their complaints and also appealed to them to make sure that politics is played without bitterness. A member of the committee and Bishop of Sokoto Diocese, Bishop Mathew Kukah, revealed that the entire members of the committee were pleased with the efforts of INEC with the way the chairman presented the commission’s activities. He noted, “It does seem very clear to me that this is a great improvement on the way that things have gone. This election by the grace of God ought to be a better improvement from the 2015 election. Our hope is that elections after this we will also see a greater improvement because as we are moving forward you are correcting all the mistakes. In a joint statement released yesterday, the EU, UK, and US missions also lauded the security services for their conduct during the election, which was, however, declared inconclusive by INEC. As Osun State prepares to go to the polls again tomorrow for a rerun to conclude the governorship election, the EU, UK, and US said, “We urge that all continue to support a peaceful, free, fair, and credible completion of the process as INEC re-runs the election in seven polling units where — through no fault of their own — voters were not able to cast their votes and have them counted last Saturday. We stress the importance that the re-run should take place without any violence, intimidation, or vote buying. In a related development, former INEC Chairman, Prof. Maurice Iwu, has denied issuing a statement on the decision of the electoral body to declare last Saturday’s election in Osun State inconclusive. He had been quoted as berating INEC for making the decision against the dictates of the constitution. But in a WhatsApp message to THISDAY yesterday, Iwu refuted the statement, saying he did not make it.